• Excellent Anti-Wear Performance - Rated as anti-wear (AW) fuids according to ASTM D7043 testing and FZG testing. • High flash and fire points provide safety in high temperature applications. 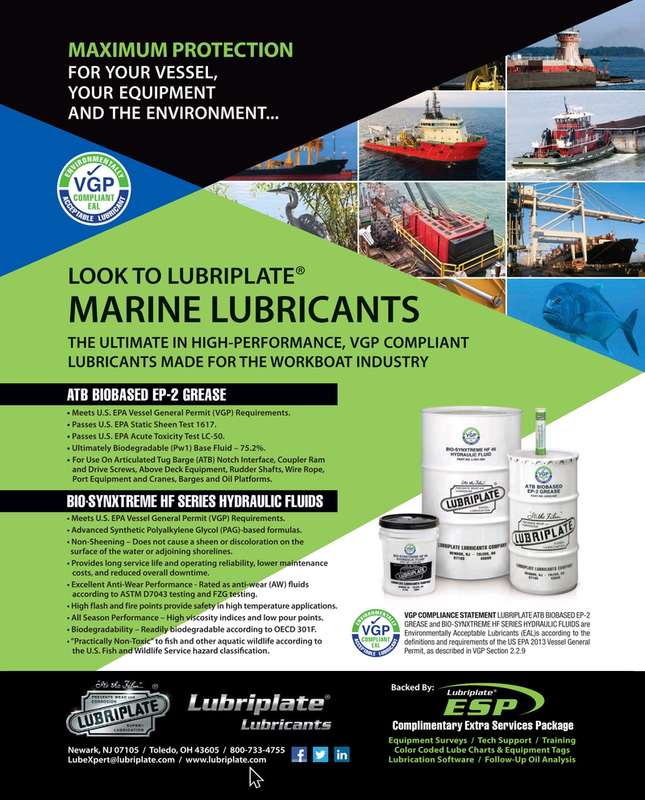 VGP COMPLIANCE STATEMENT LUBRIPLATE ATB BIOBASED EP-2 • All Season Performance – High viscosity indices and low pour points. Permit, as described in VGP Section 2.2.9 the U.S. Fish and Wildlife Service hazard classifcation.